What if you suddenly discovered you had a sense-and powers-that almost no one else in the world did? 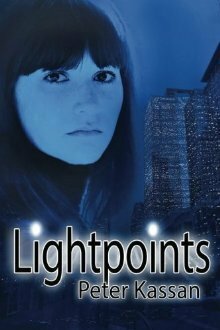 When Amanda Lindner Nichols, a 24-year-old graphic artist living with her husband in Queens, New York, is revived from a near-death experience, she discovers she perceives everyone around her as points of light-but not with her eyes. She soon learns she can not only perceive the life energy of others, but she can give and take it. With the help of others like her, she brings her husband Chris to the brink of death and back to bestow on him the same remarkable faculty, and they're the happiest they've been. But not for long. All over the world, people who've been revived from their own near-death experience at just the right moment discover themselves with these same unusual powers. They find ways to use them-some for good and some for evil. When Amanda and Chris encounter a ruthless group of gangsters with the same faculty, tragedy follows-and Amanda faces the greatest challenge of her life. Kassan's book opens on Amanda, the main character, in Grand Central Station when suddenly she realizes something very serious has happened and she is no longer in her body. With a gripping opening, I was glued to this book from the first page. It's an in depth look on what may happen when you have a near-death experience (NDE) and an out-of-body experience (OBE). Being ripped from the light and brought back to this world, Amanda has gained a new sense of perception. Lightpoints. Seeing peoples energies... giving and taking energy... Does everyone have this ability? On the whole, Amanda's journey to fully discover and hone her newfound ability while trying to navigate her marriage and find more people like her, is a very captivating and intriguing story. I found myself flipping pages to find out what would happen next. A few smaller characters were touched upon for a chapter or two, and we never saw them again. I feel those characters could have been left out, while further fleshing out the storylines of Amanda and Herrera. Overall, this book was a unique and fantastic read that I got swept up in despite a few chapters that I thought were unnecessary. The descriptions of NDEs and OBEs are thought-provoking and really lit up my imagination. It was very much unlike the things I usually read and it was wonderful. Great review. I've got this on my read soon list so I'm looking forward to it even more now.